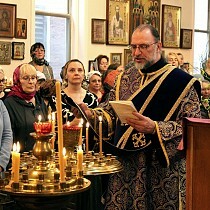 On March 29, Friday of the third week of Great Lent, His Grace, Eastern American Diocesan vicar Bishop Nicholas of Manhattan, celebrated the Vespers and the Liturgy of Presanctified Gifts in the Chapel of St. Sergius of Radonezh in the Synodal Residence in New York City. Praying in the altar during the service were cathedral clerics Archpriest Edward Chervinsky and Deacon Pavel Roudenko, as well as Priest Jonah Campbell (rector of Christ the Savior Church in Wayne, WV). 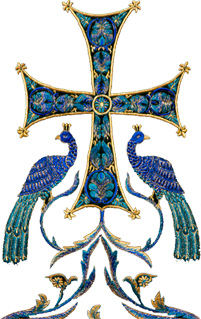 Upon completion of the service, His Grace, thanking the clerics, altar servers, and choir, wished the grace-filled prayers offered by the whole Church at the divine service might vouchsafe the worshippers at these Great Lenten services the many mercies and blessings from God for their further labors in fasting in the world, peace, repentance, and mutual love.